Browse: Home / Main / Today on KSR: Happy Umbrella Day! 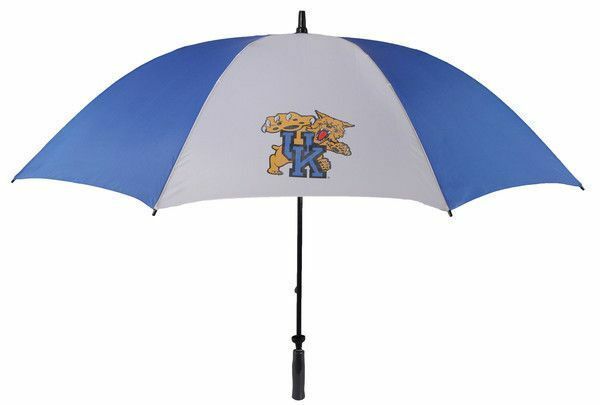 Today on KSR: Happy Umbrella Day! Today we honor the umbrella, one of life’s most useful and invaluable inventions. Brolly is a slang word for used for the umbrella that is often used in Britain, New Zealand, Australia and South Africa. Bumbershoot was a fanciful Americanism for an umbrella from the late 19th century. The basic umbrella was invented over four thousand years ago. There is evidence of umbrellas in the ancient art and artifacts of Egypt Assyria, Greece and China. The Chinese were the first to waterproof their umbrellas for use in the rain. They waxed and lacquered their paper parasols. One of the first umbrella shops in existence opened in 1830 in London, England. James Smith and Sons operate regular hours at the same location today. Matt House turned down the Kansas City Chiefs’ offer to become their linebackers coach to stay at Kentucky. On Saturday afternoon, KSR got word that House’s departure might have been a little premature. On Saturday night, the University of Kentucky confirmed the news. Calipari wore a shirt that read “In Memory of When I Cared” during Saturday’s game in Starksville. To all the people who keep yelling at him to wear Kentucky stuff, stop. Is This The Worst Free Throw of All Time? The New Zealand big man has a free throw percentage of 48%, the lowest on the Virginia Basketball team. I am SHOCKED. Bill Walton is a national treasure and I wish I could stay up late enough to watch PAC-12 games. During the Arizona State and Washington game, Walton took a bite out of a birthday cupcake with the candle still lit. I get the feeling that Bill is used to putting, ahem, lit things in his mouth.